Lie on the floor face down in a plank position with your toes on the floor and the hands closer than shoulder width (almost touching each other). Make sure you are holding your torso up at arm’s length. 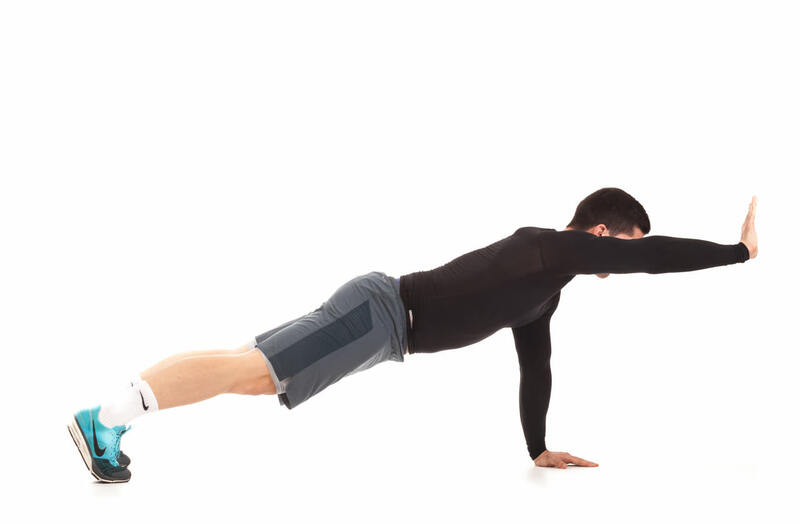 Press your upper body back up to the starting position as you squeeze your chest. Repeat the exercise according to the training plan. 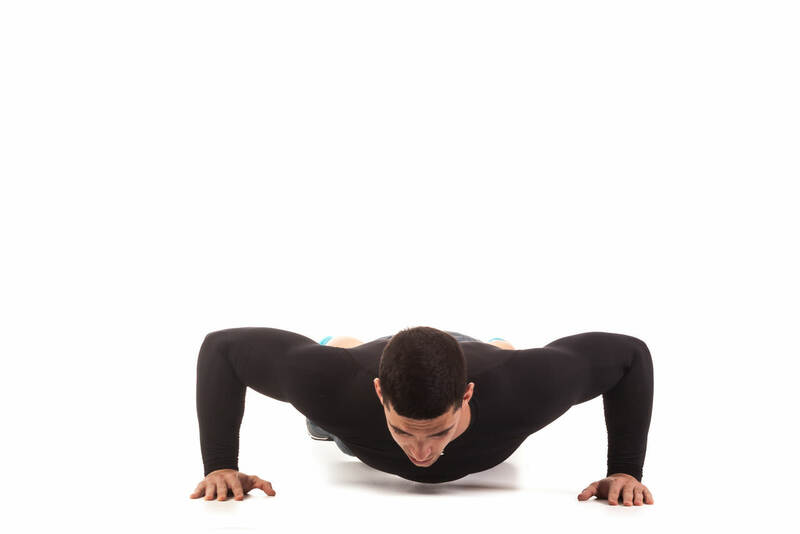 Get into a pushup position, but bend your elbows and rest your weight on your forearms instead of your hands. Your body should form a straight line from your shoulders to your ankles. 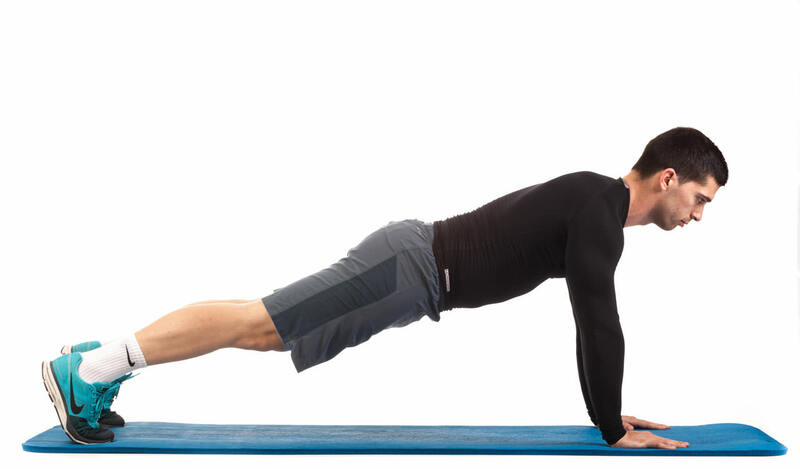 Now brace your core by contracting your abs. Without allowing your body posture to change, place your right hand on the floor, then your left hand. 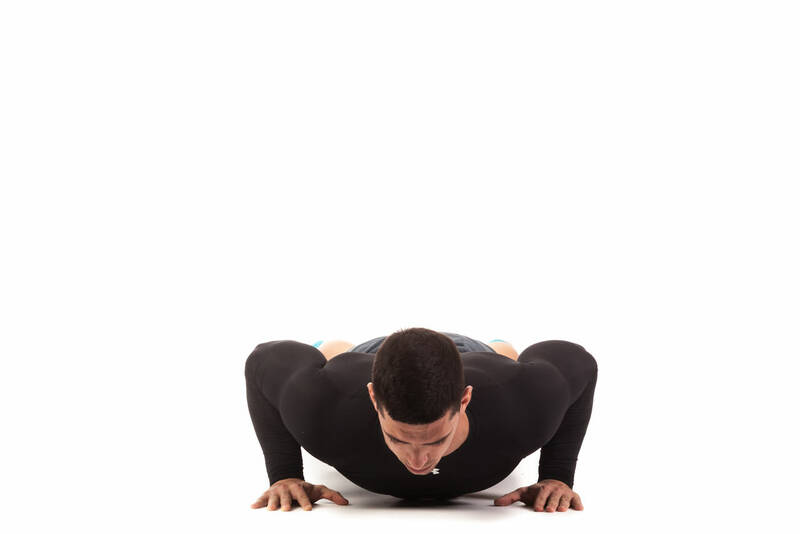 Then push your body into the “up” position of a pushup. Then one at a time, place each elbow on the floor again. Alternate which hand you place on the floor first. Repeat the exercise according to the training plan. 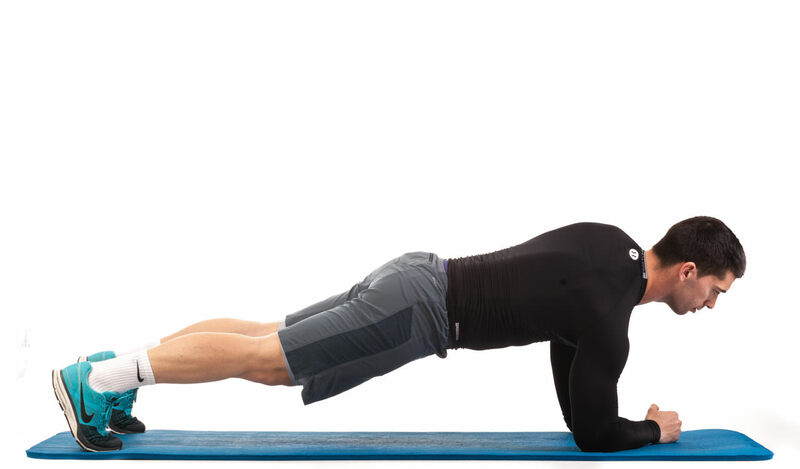 Lie on the floor face down in a plank position with your toes on the floor and the hands wider than shoulder width. Make sure you are holding your torso up at arm’s length. 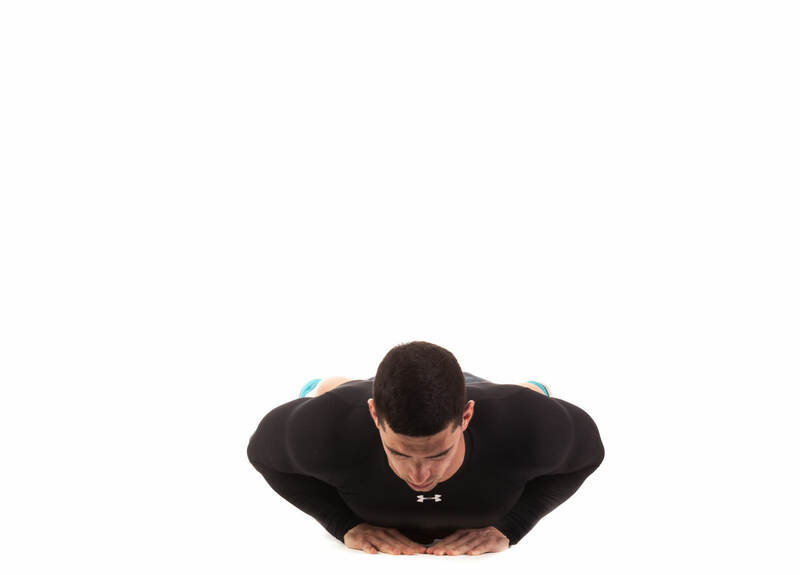 Press your upper body back up into the starting position as you squeeze your chest. Repeat the exercise according to the training plan. 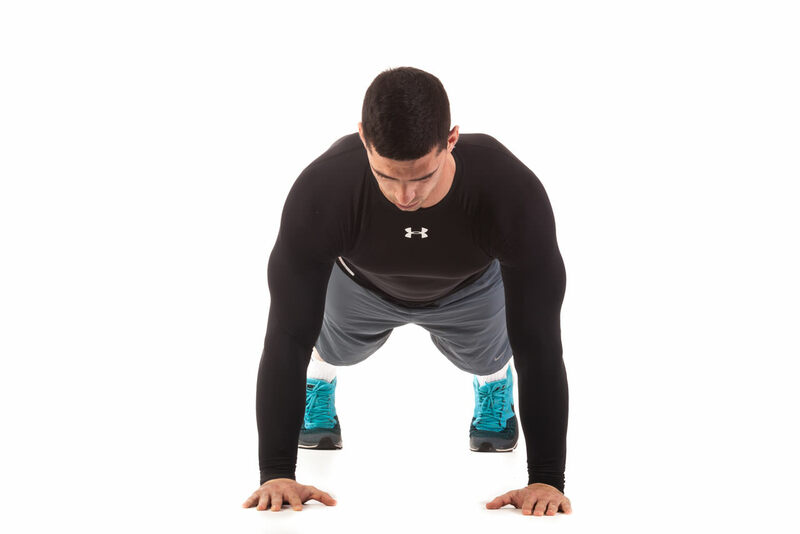 Get into a raised push-up position with your feet more than shoulder width apart and your hands shoulder width apart. 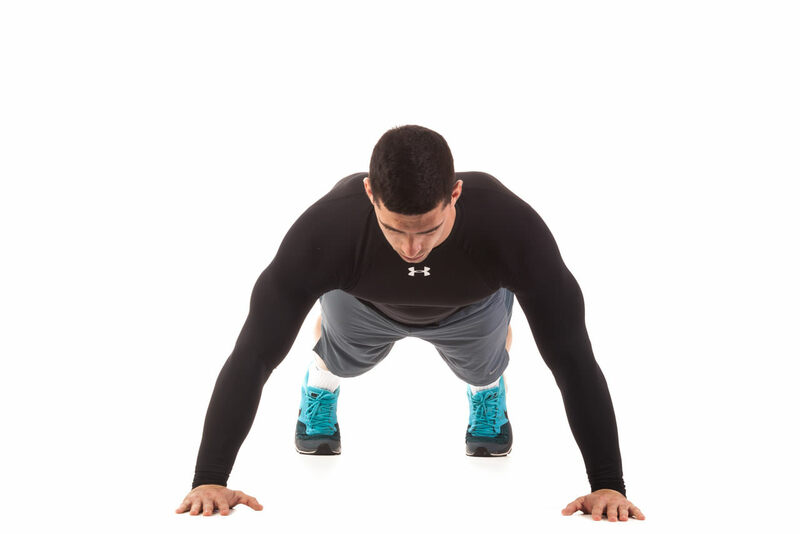 Lift your right arm and extend it forward at shoulder height (like Superman). Hold this position for a few seconds. 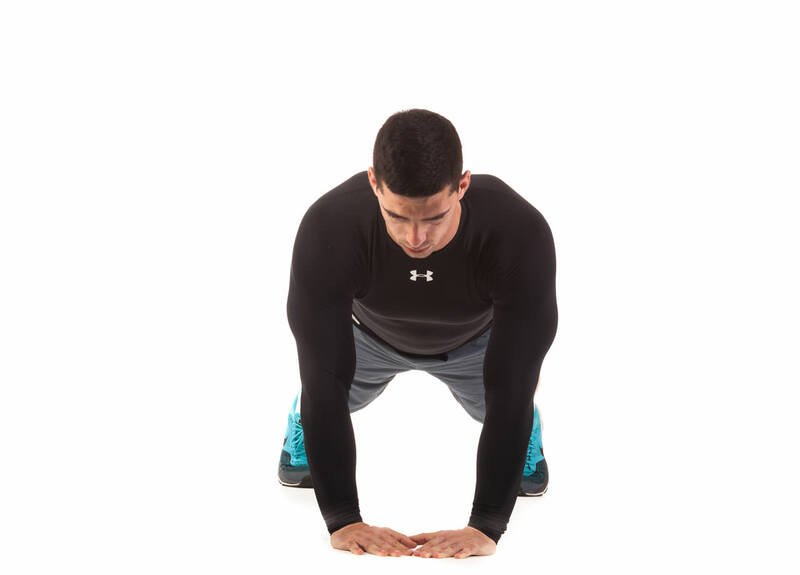 Lower your arm to the starting position and then repeat with the opposite arm. Repeat the exercise according to the training plan alternating arms.